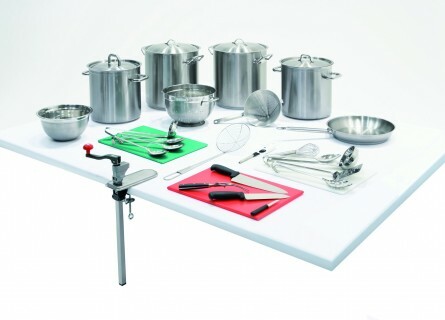 Aluminium & stainless steel pots and pans in addition to a range of ancillary equipment. The selection displayed is to provide an illustration only. The range shown is not exhaustive.